Sailing on Lake Michigan is one of the most beautiful experiences Chicago Voyagers offers. 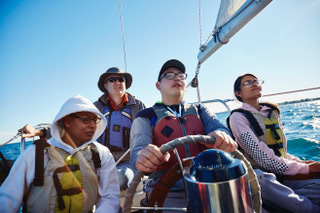 Learn to work together as a group while sailing and find peace and joy on the water. Discover sailing during a single 3-hour day program, or a more extensive series of 5 day programs.